The SmartFence™ keeps you informed, with customized text and/or email messages to help ensure your pet’s safety and give you even more peace of mind. 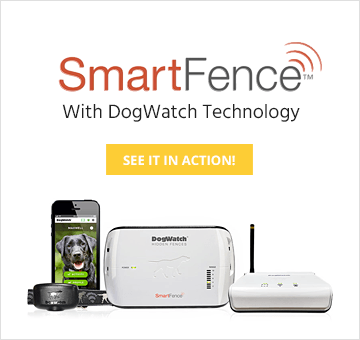 The SmartFence™ combines DogWatch patented FM radio technology with new mobile connectivity features. With the DogWatch SmartFence™, your dog will stay safe and happy, and you’ll stay connected, wherever you are. 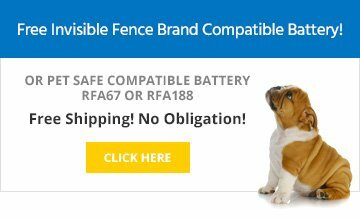 The SmartFence™ lets you know if your boundary wire is disconnected, if your pet’s SmartCollar™ battery is low, if you lost power, and more. The SmartFence™ lets you monitor your pet’s activity, and analyze daily, weekly and monthly trends. The SmartFence™ is customized for your pet, and includes individualized profiles for families with multiple pets. You can tailor your SmartFence™ WebApp notifications so you’ll receive only the information you need, when you need it. Sends an alert if your SmartCollar™ does not connect with the Communication Portal – for example, if your collar’s battery is dead, if your collar is damaged from a dog chew or if the collar is out of range of the Portal. A notification will appear on the Web App and will disappear when the SmartCollar™ reconnects to the Portal.